Calling all chocolate lovers and bakers!!! Do you LOVE chocolate? Do you LOVE to bake? Are you looking for a healthier way to LOVE your chocolate baking? 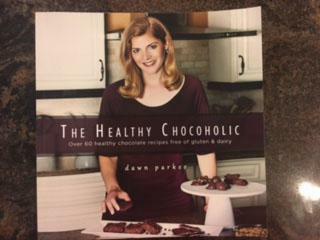 Come check out “The Healthy Chocoholic”, a cookbook for baking with chocolate in a healthier way. This fully illustrated color cookbook was written by Dr. Aslami’s personal friend Dawn Parker, a certified personal integrative health coach. These are available for pickup in our Bridgewater office for $26 each, and will prove invaluable for healthy but tasty holiday baking and family gatherings! Call 508-807-0634, or stop by the office, to reserve your copy today. Supplies are limited.